Devine came to Insureon in 2011 from Aon Risk Services, where, as president, he worked in a more traditional setting, one befitting the guy in charge of an operation with 28,000 employees and $5 billion in annual revenue. But it drove him crazy, Devine says, to sit in his resplendent office and see people lining up in the hallway outside, as if waiting to be granted an audience with the pope. So for Devine, the open floor plan he instituted at Insureon conveys a message that extends far beyond any interior design aesthetic. It goes to the heart of the company's management style and workplace culture. It symbolizes an openness of spirit and Devine's availability to everyone in the company, no matter their station--and no waiting required. "For me it says a couple things about leadership," he says. "One is: No walls, no barriers, no hierarchy. Everybody can talk to everybody. Everybody can participate in a decision. We work together, and that's very important in leadership." In his eagerness to tear down the literal and figurative walls that have divided the workplace classes for generations, Devine is not alone. More businesses, especially those that employ large numbers of young workers, have sought to reshape their internal dynamics, ditching their long-standing, top-down, my-way-or-the-highway management structure in favor of a management structure that encourages collaboration. In many cases, this shift has been driven by the workplace habits of the so-called Millennial generation. (At Insureon, for example, half the staff has yet to celebrate a 28th birthday.) Millennials are generally defined as the population born between 1980 and 2000. Their role in the American workplace is having a profound impact on how leaders lead, requiring them to not just give direction on the what, but to explain the why. And, often, to step out of the corner office and show the how. "It's best if you lead arm in arm with the team," Devine says. "The best leaders are the ones who will roll up their sleeves, and the team knows they're going to work with them, and they're respected. That's what the floor plan says to me--everybody knows I'm accessible." Roxana Hewertson has seen the structure of business leadership gradually evolve since the late 1990s, but she says the pace of change has picked up steam over the past five years. 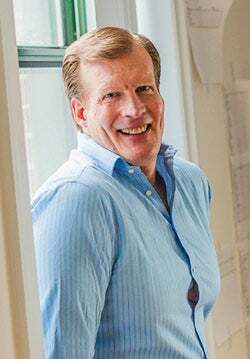 Hewertson is CEO of Highland Consulting Group, an organizational and leadership consulting firm in upstate New York. For more than 20 years she has advised and developed leaders from startups and large corporations alike. She also teaches at Cornell University's School of Industrial and Labor Relations. In a presentation at a TEDx conference last year in Williamsport, Pa., Hewertson cited the litany of recent failures in leadership at once-proud American institutions such as Enron, AIG, Lehman Brothers, American Airlines, Fannie Mae and Chrysler. "There is no question," Hewertson told her audience, "that we need a paradigm shift in the way we think about leadership." That assessment was reinforced in a December 2011 study, "Future Trends in Leadership Development," by Nick Petrie, senior faculty member of the Center for Creative Leadership in Colorado Springs, Colo. "There is a transition occurring from the old paradigm in which leadership resided in a person or role, to a new one in which leadership is a collective process that is spread throughout networks of people," Petrie wrote. "The question will change from, 'Who are the leaders?' to 'What conditions do we need for leadership to flourish in the network?'" Hewertson says the ascent of the Millennials, a generation less interested in taking orders from the boss and more interested in solving problems as a team, has spawned a desire among many executives to relearn what it takes to be an effective leader. "There's a real hunger out there for finding a better way," she says. "The old way is broken. It doesn't serve us." Devine recalls when one of the "most junior" people in his office approached him to talk about an Insureon product that wasn't working. "Fifteen minutes later we had an impromptu meeting, and we're making modifications," Devine says. "Young people like to work in an energetic environment. They like to work where they have a voice, where they can suggest things." Joe Sexton delivered a similar message when he took the reins as president of worldwide field operations at AppDynamics, a San Francisco-based firm that helps companies manage the performance of web applications. Like Insureon, AppDynamics' headquarters, in the city's South of Market district, employs an open-space layout--no offices to underscore the corporate strata. On his first day there, Sexton stood before the work force and vowed that he would answer any e-mail he received from anyone in the company the same day and would return any phone call before the end of the next business day. "It's that kind of accessibility and communication that is very powerful," Sexton says. He's a disciple of business author Jim Collins, who has mined leadership styles in a series of bestselling books. "You help employees get what they want," Sexton says, and "you'll get what you want." At least two-thirds of AppDynamics' 150 employees are younger than 35. Sexton says his own 20-year-old son has made him acutely aware of the generational perspective in the workplace. "You ask them to do something, they're going to say, 'Why?'" he relates. "This generation--you just can't manage them the old way. They're used to being heard, used to being involved. Collaboration is the only way I know to be successful with folks that are younger. The idea that a lot of executives are sitting around a room deciding what works just doesn't work anymore. I believe those days are over in terms of innovative companies. The folks who are going to carry you there, they don't want to be led that way." At Austin, Texas-based Spiceworks, which provides free network-management software for IT professionals, co-founder and CEO Scott Abel says his focus is on harnessing the collective brainpower--and gusto--that his workers bring to the office each day. Abel estimates that nearly 40 percent of the company's 185 employees are younger than 28. "The great thing about young people is they don't know what they don't know," he says. "What we try to do is guide that energy and enthusiasm. If you want to put your head through the wall--I'm a martial artist; I happen to know it's doable--you might want to know where the studs are." Highland Consulting Group's Hewertson says leaders who work with Millennials would be wise to sharpen their emotional intelligence. The basic idea is that, as a leader, you need to understand not only your own needs but the needs of those you're charged with leading. In doing so, Hewertson says, you can inspire the best from your employees, who in turn will be better able to contribute to the company's success. "There's a whole lot more to leading than just being smart," she says. "One of my clients has a whole lot of brilliant leaders, and they're all crappy leaders. The good news is you can teach emotional intelligence. None of this is rocket science. It's all about human behavior. It is the people who get them there. Those dollar signs are attached to people. How well you manage your people resources [is] going to make all the difference. Everything I do starts with self-awareness as a leader." For Devine, the increase in the number of Millennials under his stewardship has changed his approach to leadership. The open floor plan at Insureon also helps. "I can't hide in my office, but because I can see, I know when my head of sales isn't creating enough energy," Devine says. "I know when somebody's upset. I go solve that. I don't think 10 years ago I would have been attuned to the interpersonal elements." Perhaps nowhere has the Millennial work force made more of an impact than in Silicon Valley. The most successful companies in the modern-day tech revolution never really hewed to a traditional management style anyway. When was the last time anyone saw Mark Zuckerberg in a suit and tie? Hewertson says Silicon Valley's ethos of collaboration has helped drive innovation--which is itself a motivating force in the workplace, especially when it comes to IT. "What is happening in the IT industry is this amazing amount of innovation, and innovation turns people on," Hewertson says. "The techies with a dream get excited about what's possible to do, and they get excited about doing it. The way IT organizations lead is very different, and I think you'll see a lot more stuff going on with leadership in Silicon Valley. When you're at the forefront of something, no matter how big or small your IT company--wow, that's exciting. People need voices, and in IT, voices are heard a lot more than in corporate or education or healthcare." Tom Ingersoll can attest. He's the CEO of Skybox Imaging, a Mountain View, Calif.-based company that is developing a system of low-cost imaging microsatellites, each the size of a small refrigerator, for use by business and government. Of the 80 Skybox employees--almost all of them engineers, including 10 with doctoral degrees--the average age is 30. "They're like sponges. They want to learn. They like learning and feeling empowered," Ingersoll says. "For us, in Silicon Valley, it's all about learning. That's one key thread that I think about when I think about how to lead them, how to work with them, how to recruit them." As Sheila Johnson tells it, the secret to her success has been something you can't learn in B-school or the boardroom. "Above all else, I hang my hat on character," says Johnson, who co-founded the BET cable network; serves as team president of the WNBA's Washington Mystics; and is CEO of Salamander Hotels & Resorts, a hotel-management company based in Middleburg, Va. "I want every one of my employees to look at me with dignity and respect. I want to be someone they are proud to work for." To foster an environment that values this approach, Johnson strives for "unfailing dedication" in making choices that put the "greater good" first. As part of this effort, she encourages employees to take responsibility for their choices and to act with humility, never seeing individual effort as being bigger than the group. She dubs this strategy "collaborative compromise." "If we're all accountable for the choices we make, we can look back at a day or a week and measure the time in what we were able to accomplish," she says. "Failure is OK if you tried something for the right reasons and you're able to learn and move forward." The adopted mantra of LinkedIn CEO Jeff Weiner is "next play," a phrase borrowed from Duke basketball coach Mike Krzyzewski, who calls it out after every sequence on offense or defense. Weiner explains it as: "Take a minute to celebrate success or reflect on failure, but then move on." As a manager, Weiner takes time to acknowledge relatively small accomplishments by his employees. He often ends a meeting or speech by asking what he could have done better. His workdays are as long as or longer than those of his employees. "That allows him to be extremely credible as a leader," says David Hahn, LinkedIn's vice president of product management. Weiner's style earns raves from his staff. His Mountain View, Calif.-based company, with more than 3,000 employees and 200 million members, consistently ranks as one of the best places to work, earning a 92 percent employee-approval rating in an anonymous survey last year by Glassdoor.com. Hahn says Weiner impressed him from his first days on the job with his ability to pinpoint issues and deal empathetically with employees. "A big part of leadership and a big part of being a disciplined manager is being able to ask really great questions," Hahn says. "He was able to ask questions that were really right on the money. They were precisely the areas we were having trouble with or spending a lot of time thinking about or influenced the direction we needed to go." 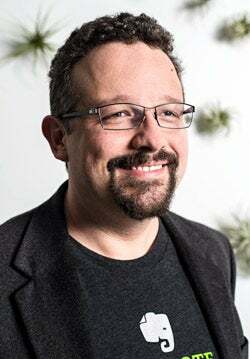 Phil Libin never wanted to work anywhere that had more than 50 employees. But six years as CEO of Redwood City, Calif.-based Evernote, which provides a suite of note-taking and organization apps, have changed his mind. "I want this to be a 20,000-person company, and I want to still be a startup when it happens," he says. The key to leading a "100-year startup," as Libin describes it, is to ensure that his employees--currently numbering 265--feel like they're working for one. "No one should be doing something they think is stupid," he says, noting a "militant" focus on making sure everyone understands the impact their work has on the company and, by extension, the world. Evernote even has "officer training," in which employees volunteer to attend meetings in unrelated departments to get a better sense of the big picture. The company's focus is on results. Even summer interns get to see the features they work on go live, and successful hires are trusted implicitly from day one. "We think people who work here want … to do as much work as humanly possible to make something great, and our job as managers is to eliminate all the obstacles so they can move mountains," Libin says. That includes offering benefits that help zap stress and increase productivity, like unlimited vacation time and even bimonthly house cleaning. Not all lessons are learned from mistakes; some of the most influential have roots in success. Take it from Zappos CEO Tony Hsieh, whose company LinkExchange was acquired in 1999 by Microsoft. Hsieh, 24 at the time, sold the company for one reason: He didn't enjoy going to work anymore. The deal turned out to be more than just a $265 million windfall--it was a lesson Hsieh parlayed into a coaching company and bestselling book, Delivering Happiness. Hsieh joined Zappos shortly after the Microsoft buyout, first as an investor and advisor. As the company grew and he took over as chief, he worked with his staff to develop the Zappos Family Core Values, the 10 commandments that dictate the company's brand, culture and business strategies. They include not only a commitment to customer service, but also the creation of "fun and a little weirdness" and the building of a "positive team and family spirit." "Tony's imprint is all over the company," says Jamie Naughton, the so-called "speaker of the house" at Zappos. "Our culture was inspired by how he does business and the people he hires and how we all are as a group." Naughton says Hsieh takes a hands-off approach to leadership that requires effective delegation. "He likes to say that he is more of an architect; he designs the big vision and then gets out of the way so that everyone can make the things happen," she says. Naughton acknowledges that some employees may need more structure, but Hsieh's approach seems to be working at Zappos, which was purchased by Amazon in 2009 in a deal valued at more than $1.2 billion. Today Hsieh is rising to guru status as business owners strive to emulate his leadership style. Alex Wilcox is CEO of Irvine, Calif.-based private aviation company JetSuite, in which Hsieh has made a $7 million investment. (Hsieh also serves on the board of directors.) Wilcox says JetSuite has adopted some of Zappos' corporate-culture strategies, and he credits Hsieh as the catalyst for the decision to implement Wi-Fi on flights. 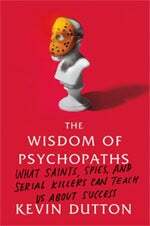 Kevin Dutton's book The Wisdom of Psychopaths: What Saints, Spies, and Serial Killers Can Teach Us About Success sheds some fascinating--and disturbing--light on the psyches of business leaders. Also on the top five psycho list are lawyers, media figures, salespeople and surgeons. Additionally, Dutton cites a 2005 survey from the University of Surrey that revealed that a number of psychopathic attributes--superficial charm, egocentricity, persuasiveness, lack of empathy, independence and focus--are more common in business leaders than in so-called disturbed criminals. The main difference between the groups, he says, is that among the latter, the more antisocial aspects--lawbreaking, physical aggression and impulsivity--are "cranked up higher." Corrections & Amplifications: A photo caption in a previous version of this article misidentified LinkedIn CEO Jeff Weiner as Ted Weiner.